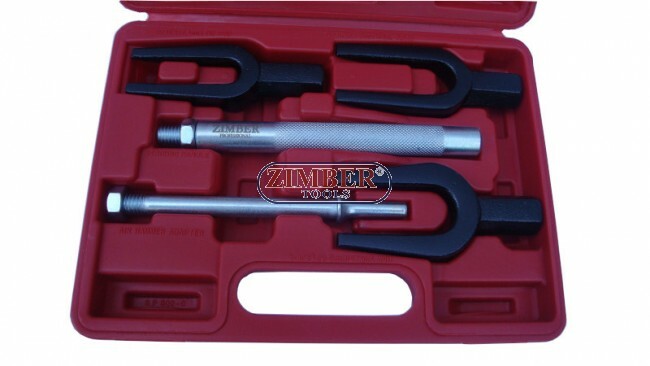 1pc Tie rod separator, Opening 17mm (11/16"). 1pc Ball joint separator, Opening 24mm (15/16"). 1pc Pitman arm wedge, Opening 28mm (1-1/8"). 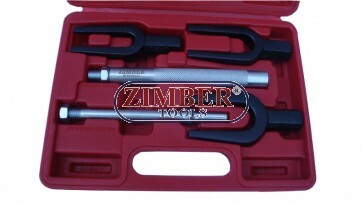 1pc Handle with lock nut 200mm (8"). 1pc pneumatic handle 180mm (7").